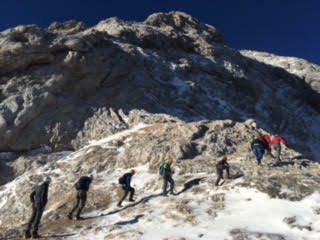 On Saturday 29 September 2018 a team of 10 Officers from National Reserve Headquarters Royal Artillery (NRHQRA), based out of our HQ at Woolwich, and a Reserve Private soldier from 203 Field Hospital RAMC in South Wales, assembled in the town of Bohinj-Bistrica in Slovenia to do some adventurous training in the Julian Alpes. The Exercise was planned by Major L E S WEBB, was authorised by ATG(A) and was called Cockney Slovenian Wolf. Slovenia is a largely unexplored destination for Army Adventurous Training and the whole exercise had a feeling of stepping into the unknown about it. Individual concerns were quickly swept aside upon arrival. After a short and uneventful flight from Stansted Airport and a 40 minute drive from the airport in Ljubljana to our base camp in Bohinj-Bistrica. the sheer beauty of the Slovenian countryside was revealed together with the magnetic pull of the high mountain ridges and summits that overlook the chosen base camp in the small town of Bohinj-Bistrica. This turned out to be just as much a pleasure to the senses as a physical challenge to the mind and body. 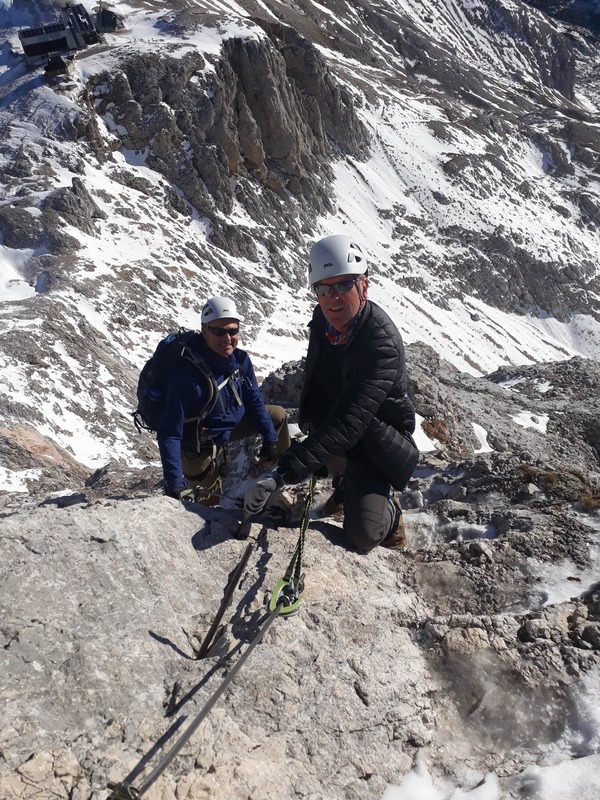 NRHQRA is fortunate to have a relatively high proportion of qualified and active AT instructors and the aim of the exercise was to update existing qualification holders whilst developing their experience of the high Alpine Mountain environment. Mount Vogel, to the South and Mt Triglav to the North were to be the main training environments and, despite the early autumn exercise period, on every day, bar one, the weather was favourable for some breath-taking trekking up tree lined autumn valleys and along limestone ridges with views extending to the Adriatic shores to the South West and to the high Austrian Alps to the North. Mt Vogel at 1,922m was climbed on 30 September after sweating up an ascending knife-edge pinnacle ridge in the bright sunshine. 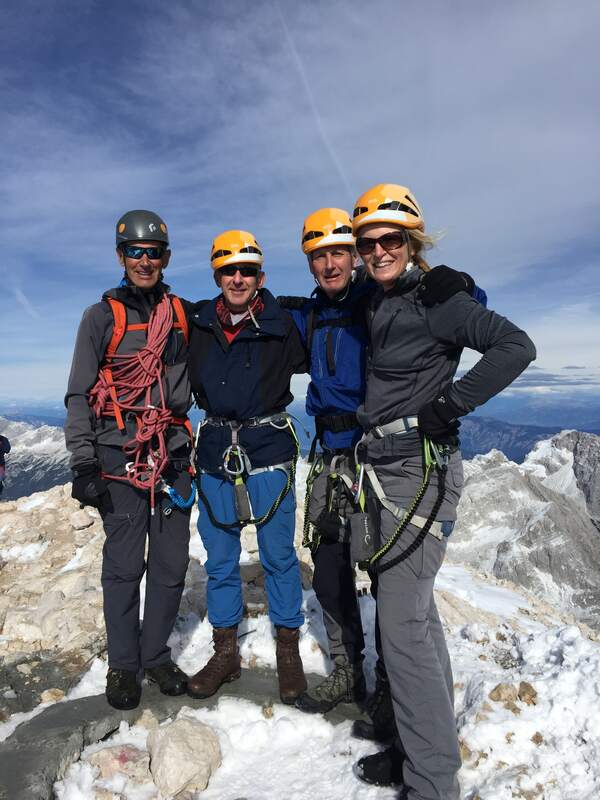 NRHQRA is lucky enough to have two Alpine Kletterstieg leaders, providing technical expertise. 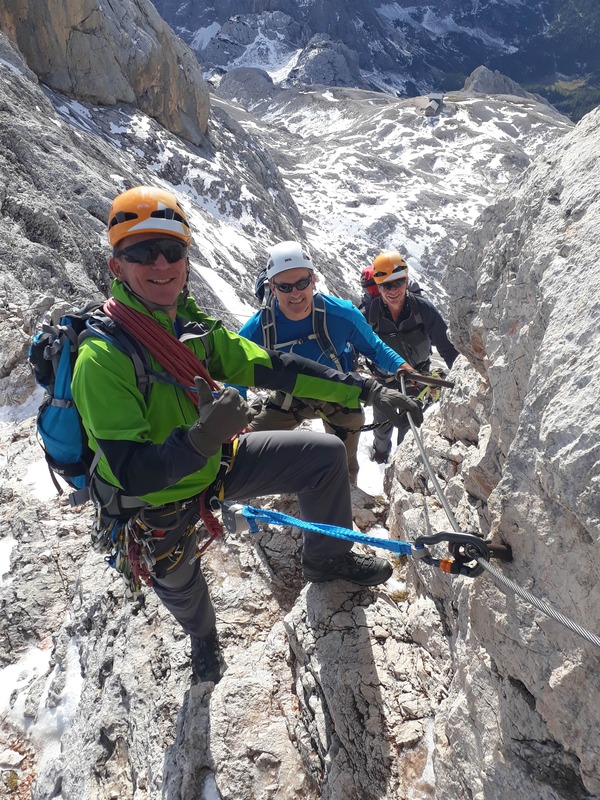 On the afternoon of 03 October 2018 the team was able to mount a successful bid to climb to the summit of Mt Triglav 2,864m ( The highest mountain in the Julian Alpes and hence the highest point in Slovenia ), putting 9 persons onto the top. This summit attempt was mounted as a component part of a three day and two night mini-expedition based out of the high Alpine Huts at Triglavski Dom and Planiska Dom. 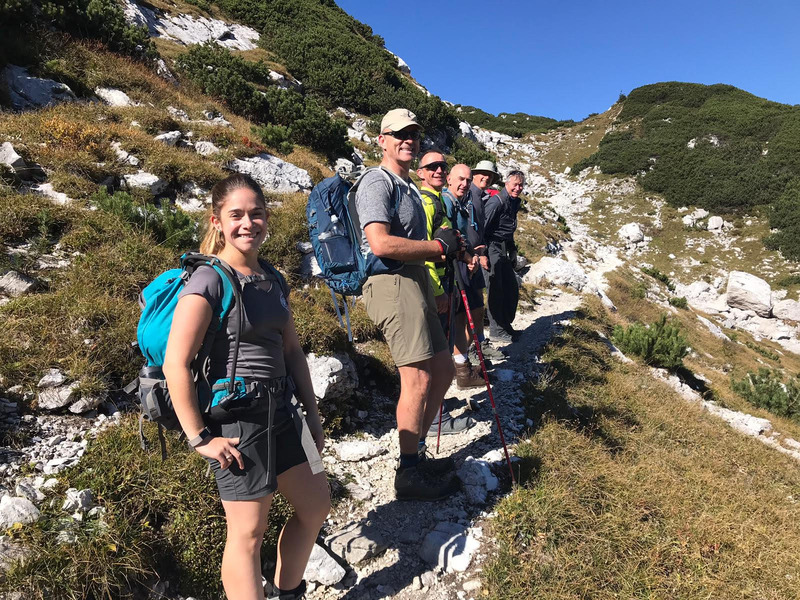 The exercise concluded with a highlight on Friday 05 October when the team trekked up to the Southern Ridges above Bistrica in order to study the fortifications that are still well preserved after being used during both WW1 and WW2 in the defence of the local area from invaders. Commanding Officer NRHQRA and his unit members who attended would like to express their gratitude to The Ulysses Trust for their support and a generous financial grant towards the cost of such a rewarding exercise. With a view to going somewhere different in Europe to do something challenging then Slovenia doesn’t initially sound very exciting as a destination for Joint Services Adventurous Training but it never fails to deliver positive surprises. Thanks to The Ulysses Trust 11 soldiers were able to experience an amazing opportunity for personal development which will benefit the Army in the years to come. Impact upon unit effectiveness as a result of Ex Cockney Slovenian Wolf. Lt Col Guy Cooper JSMEL(S). Post Exercise Quotes from Participants.